The full review on Microgaming's Thunderstruck II slot. Nowadays the whole gambling industry is much obliged to Microgaming, the most successful developer of casino software. Respectful age of over twenty years allows us to call it the Forefather and thank the company for each and every video slot we can enjoy. Especially it refers to sequels like Thunderstruck II. The original Thunderstruck slot machine was released back in 2003 and it had won customers admiration worldwide. 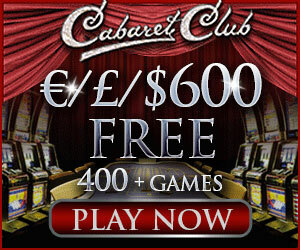 It is considered to be the best online slot ever. So it was obliged not to disappoint expectations and to create even better slot. We are happy that there are no impossible tasks for Microgaming! It took the developers 7 years to create Thunderstruck II slot and as we see the time was very well spent. To begin with they came up with a completely new game full of different features and symbols. It is a 5 reel video slot offering 243 ways to win option with up to 25 Free Spins and varying multipliers. The minimal coin bet is just 0.01 with 15$ maximum. The Wild Symbol is Thunderstruck II Logo and Thor’s hammer as a Scatter one. It’s style and design do not resemble initial Thunderstruck but look more like Tomb Raider II slot. The stormy sky background and rocky sounds add greatly to the game’s mood. We can see Scandinavian mythology symbols of Gods as well as stone card symbols placed on the reels and lightning each time of winning combinations. All symbols are animated making the game alive. Odin’s ravens, believed to tell him what is seen in the world, start to fly, mighty Thor swings his weighty hammer, Loki begins to whirl green flaming spheres and beautiful Valkyrie rides her snow white horse. At least three thunderous Thor’s hammers – scatter symbols – activate the Great Hall of Spins feature with 4 options. The legend says that only a decent warrior can be brought to the Hall. You may prove to be a real Viking by entering the Hall many times and meeting all the ancient gods. Depending on what gods you select: Vakyrie, Locki, Odin or Thor the number of free spins (from 10 to 25) as well as special feature will differ. You can pick up to multiply all wins by 5 with Valkyrie, or face Wild Magic feature with Locki. Odin will offer you Wild raven feature and Thor will show you Rolling Reels. Another special God’s gift is Wildstorm Feature. Right out of the blue in the middle of a spin a massive Wildstorm will break out. It will give you one free spin with 1 or 2 wild reels. If the storm is too violent, you will receive 5 wild reels. And we more than happy that this game for real warriors with high jackpot of 2 and a half million is available in all Microgaming casinos among which are Spin Palace, Betway and All Jackpots both in free and download versions.